Sassoli M, Taiti C, Guidi Nissim W, Costa C, Mancuso S, Menesatti P, Fioravanti M (2017). Characterization of VOC emission profile of different wood species during moisture cycles. iForest 10: 576-584. This study addresses the characterization of volatile organic compounds (VOCs) emitted by samples of 13 different wood species, belonging to both softwoods and hardwoods groups, regularly measured at different intervals of time, after the first measurement on green wood. The same wood specimens were subjected to several cycles of water desorption and adsorption, assuming that moisture variation might play a role in both the formation and emission of VOCs. Proton Transfer Reaction-Time of Flight-Mass Spectrometry (PTR-TOF-MS) was used as a tool to characterize the emission of VOCs. Coupled with a multivariate class-modelling approach, this tool was able to discriminate between groups (softwood and hardwood) and in some cases between different species. However, results showed that the discriminant capacity of VOCs emission to separate species and families rapidly decreases after the first cycles of moisture variation in wood. The green wood was characterized by a richness of volatile compounds, whereas, after only the first dry cycle, wood emitted a more restricted group of compounds. We hypothesized that most of these VOCs might have originated from structural changes and degradation processes that involve the main polymers (particularly hemicellulose) constituting the cell wall of wooden cells. The results obtained are in agreement with the physical and chemical modification processes that characterize wood ageing. Effects of wet-dry cycling on the mechanical properties of Arundo donax L. used for the vibrating reed in woodwind instruments. Wood Science and Technology 49 (6): 1171-1183. Atmospheric degradation of volatile organic compounds. Chemical reviews 103 (12): 4605-4638. Terpene emissions from particleboard and medium-density fiberboard products. Forest Products Journal 49 (1): 49-56. Proton-transfer reaction mass spectrometry. Chemical Reviews 109 (3): 861-896. On data analysis in PTR-TOF-MS: from raw spectra to data mining. Sensors and Actuators B: Chemical 155 (1): 183-190. PTR-MS in Italy: a multipurpose sensor with applications in environmental, agri-food and health science. Sensors 13 (9): 11923-11955. Performance of some variable selection methods when multicollinearity is present. Chemometrics and Intelligent Laboratory Systems, 78(1), pp. 103-112. Wood: chemistry, ultrastructure, reactions. Walter de Gruyter, Berlin, Germany - New York, USA, pp. 108. Volatile compounds in acacia, chestnut, cherry, ash, and oak woods, with a view to their use in cooperage. Journal of Agricultural and Food Chemistry 57 (8): 3217-3227. Volatile organic compounds emissions in Norway spruce (Picea abies) in response to temperature changes. Physiologia Plantarum 130 (1): 58-66. Comparison between the conventional method of extraction of essential oil of Laurus nobilis L. and a novel method which uses microwaves applied in situ, without resorting to an oven. Journal of Chromatography A 1143 (1-2): 36-40. VOC emissions from Norway spruce (Picea abies L. [Karst]) twigs in the field - Results of a dynamic enclosure study. Atmospheric Environment 40: 128-137. Natural emissions of non-methane volatile organic compounds, carbon monoxide, and oxides of nitrogen from North America. Atmospheric Environment 34 (12-14): 2205-2230. Determination of material emission signatures by PTR-MS and their correlations with odor assessments by human subjects. Indoor Air 20 (4): 341-354. On-line breath analysis with PTR-TOF. Journal of Breath Research 3 (2): 27004. 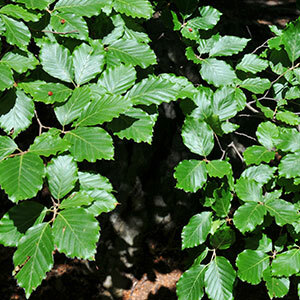 Emissions of volatile organic compounds from Quercus ilex L. measured by proton transfer reaction mass spectrometry under different environmental conditions. Journal of Geophysical Research: Atmospheres 105: 573-579. Comparison of VOC emissions between air-dried and heat-treated Norway spruce (Picea abies), Scots pine (Pinus sylvestris) and European aspen (Populus tremula) wood. Atmospheric Environment 44 (38): 5028-5033. Potential application of PTR-TOFMS for the detection of deoxynivalenol (DON) in durum wheat. Food Control 57: 96-104. Assessment of exposure to indoor air pollutants. Report no. 78, WHO Regional Office Europe, Copenhagen, Denmark, pp. 139. SIMPLS: an alternative approach to partial least squares regression. Chemometrics and Intelligent Laboratory Systems 18 (3): 251-263. Seasonal variation of biogenic VOC emissions above a mixed hardwood forest in northern Michigan. Geophysical Research Letters, 30 (23): 2186. Computer aided design of experiments. Technometrics 11 (1): 137-148. Selective reagent ionisation-time of flight-mass spectrometry: a rapid technology for the novel analysis of blends of new psychoactive substances, Journal of Mass Spectrometry 50 (2): 427-431. Soil volatile analysis by proton transfer reaction-time of flight mass spectrometry (PTR-TOF-MS). Applied Soil Ecology 86: 182-191. Comparing the VOC emissions between air-dried and heat-treated Scots pine wood. Atmospheric Environment 36 (11): 1763-1768. Effects of ageing and heating on the mechanical properties of wood. In: Proceedings of the Cost Action IE0601 International Conference “Wood Science for Conservation of Cultural Heritage”. Florence (Italy) 8-10 Nov 2007. Firenze University Press, Florence, Italy, pp. 16-23. Emissions of acetic acid and other volatile organic compounds from different species of solid wood. Holz Als Roh-Und Werkstoff 56 (2): 125-129. Volatile organic compounds and formaldehyde in nature, wood and wood based panels. Holz als Roh- und Werkstoff 64 (2): 144-149. Effect of oxidising and reducing agents on the release of volatile organic compounds (VOCs) from strands made of Scots pine (Pinus sylvestris L.). Wood Science and Technology 49 (5): 957-967. Two approaches for discriminant partial least squares. In: Proceedings of the 26th Annual Conference of the Gesellschaft für Klassifikation e.V. “Between Data Science and Applied Data Analysis” (Schader M, Gaul W, Vichi M eds). University of Mannheim (Germany) 22-24 Jul 2002. Springer, Berlin, Heidelberg, Germany, pp. 100-108. Understanding of formaldehyde emissions from solid wood: an overview. BioResources 8 (3): 4775-4790. Detection of volatile organic compounds from wood-based panels by gas chromatography-field asymmetric ion mobility spectrometry (GC-FAIMS). International Journal for Ion Mobility Spectrometry 15 (3): 157-168. PLS discrimination plots. In: “Pattern Recognition in Practice II” (Gelsema ES, Kanals LN eds). Elsevier, Amsterdam, Netherlands, pp. 461-470. PTR-ToF-MS, a novel, rapid, high sensitivity and non-invasive tool to monitor volatile compound release during fruit post-harvest storage: the case study of apple ripening. Food and Bioprocess Technology 6 (10): 2831-2843. Emissions of volatile organic compounds from convection dried Norway spruce timber. In: Proceedings of the Final Conference of COST Action E53 “The future of quality control for wood and wood products”. Edinburgh (UK) 4-7 May 2010. Edinburgh Napier University, Forest Products Research Institute / Centre for Timber Engineering, pp. 222-230. Assessing VOC emission by different wood cores using the PTR-ToF-MS technology. Wood Science and Technology. 1-23. Class-modeling approach to PTR-TOFMS data: a peppers case study. Journal of the Science of Food and Agriculture 95 (8): 1757-1763. Volatile organic compounds in truffle (Tuber magnatum Pico): comparison of samples from different regions of Italy and from different seasons. Scientific Reports 5: 1262910. Indoor air quality: organic pollutants. In: Proceedings of the World Health Organization (WHO) Meeting. Berlin (Germany) 23-27 August 1987. World Health Organization, Regional Office for Europe, EURO Reports and Studies 111, Copenhagen, Denmark, pp. 1-70.